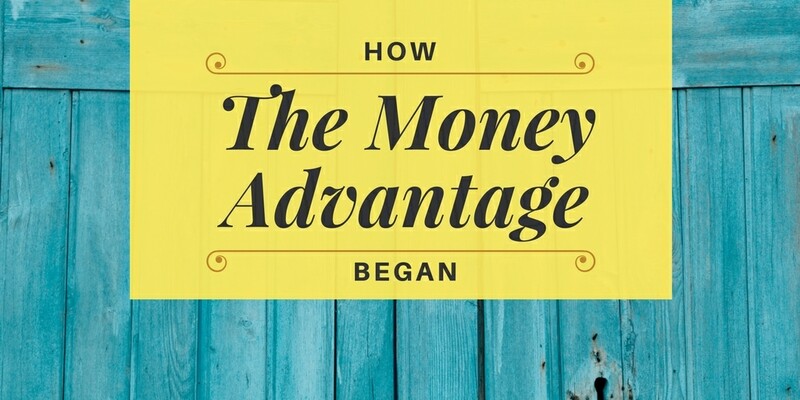 The Money Advantage was born out of unexpected collaboration in the most unlikely of circumstances. Three financial service professionals in an industry known for its undercurrent of competition, from across state lines, different companies, different levels of experience, and different generations. 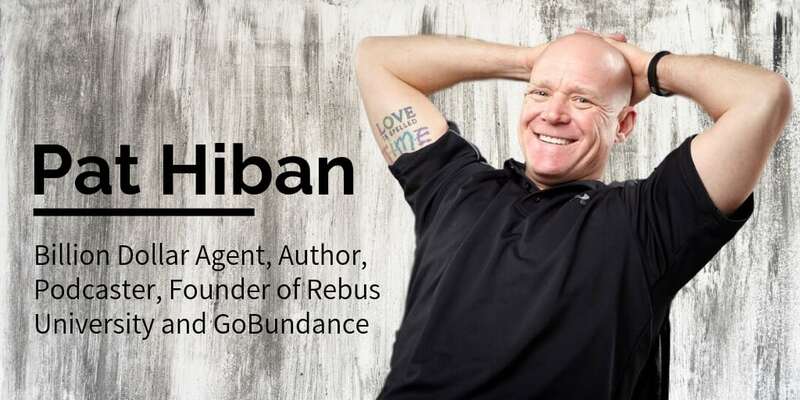 With the common ground of a desire to bring empowering education to business owners to help them keep and control more of their money, a Go-Giver spirit, a willingness to say yes to the unknown and live it as an adventure, and a little dream to start a podcast and the surprising ignition switch that made it happen. 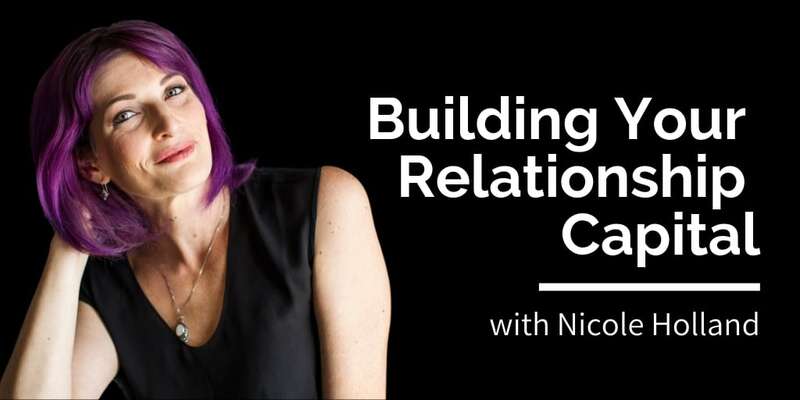 I’ll tell you the story of how we met, why we’ve continued to build a collaborative relationship, why we’ve teamed up to deliver The Money Advantage to you, and what you can expect as a result. Bruce Wehner’s organization, e3 Wealth, based in St. Louis, Missouri, had become disenfranchised with financial services industry. 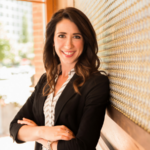 They saw how difficult it was for a person to get consistent financial advice from their CPA, investment advisor, insurance broker, and mortgage professional, who often worked independently, not collaboratively. They engaged in a mission to transform the financial industry, building a teamwork model across professionals. The objective was to foster relationships with like-minded financial professionals, to share best practices and best empower clients. They partnered with the Nelson Nash Institute to create the Freedom Advisor Live event as a step towards building this vision. My husband, Lucas and I, wealth strategists in Virginia, heard about the event through the Nelson Nash Institute. When we listened to their teleconferences, we discovered a team doing the same work, that had much more experience. We booked plane tickets and attended the first Freedom Advisor event in November 2015 with the desire to find mentors. We took immediate action on the lessons we learned, changing most of our client process. One of the changes was implementing a financial picture process with our clients. As I worked with clients, I discussed our recommendations with Bruce to gain further insight. As a result, we had frequent conversations over the two years that followed. One of the many areas of common ground was that Bruce and I are educators by nature. We both believe in the power of education to give people the confidence to make decisions. Bruce had the experience of sitting down with over 4,000 clients. One of his unique abilities is strategic thinking. Through his volume of real-life experience, he has developed the skill to lead clients in thinking exercises that support clear decision-making. My unique ability is communicating complex ideas in a way that’s fun, simple and doable. I’m able to put ideas down on paper and into a process and communicate them in a way that helps people come to their own conclusions. I’d been creating video and blog content for over a year, and wanted to produce higher quality educational content with more depth and context. I had been creating video and blog content for over a year, and I saw podcasting as the next step to produce higher quality educational content with more depth and context. Even though it was my desire to start a podcast, it was my husband Lucas that made it happen. On a hunch, he called up Bruce and asked if he would co-host a show with me. Lucas and I believed that partnership with Bruce was just what was needed to increase the quality of the conversation. It was the impetus that put everything in motion to deliver The Money Advantage to you today. We recognize that there’s so much noise in the financial industry today. Do this. Buy that. Don’t do that. It’s often rooted in fear and scarcity. And it’s often difficult to see beneath the advice to determine who the advice is really benefiting. Is it putting the client in control? Increasing their cash flow? Giving them a philosophy and way of thinking first, before strategy, and before pitching products? Setting them up for true financial independence? Unfortunately, far too often, the answer is a resounding no. Even more unfortunately, even the ready accessibility of “education” also has its drawbacks. With so much information available, it can cause confusion about what’s best and how to apply it in your own life. 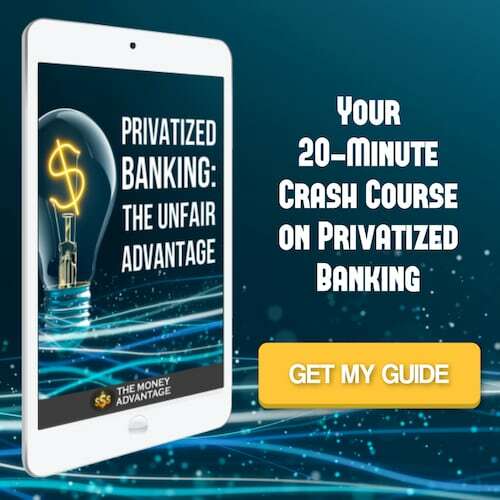 We feel that the financial industry can do a better job of educating people how to take back control in their personal and business financial life. We recognize that more people want to take ownership of their financial life and rise above the status quo. We see a movement of people who are recognizing that typical financial planning has failed. They are looking for knowledge that empowers them with the control, certainty, and confidence to achieve economic independence. We took the first steps to be the change, not just wishing or hoping something would change in our industry. 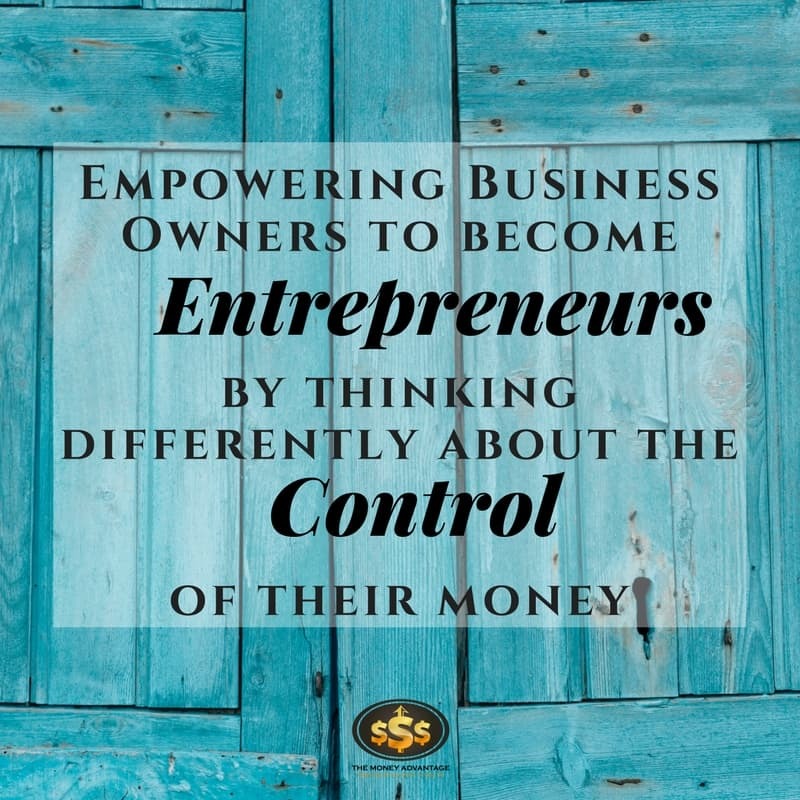 Our mission is to empower more business owners to become entrepreneurs by thinking differently about the control of their money. We’re coming together to help you as a business owner get your money working most effectively for you. We feel the responsibility to help you understand how your financial decisions are related to your whole personal economy. When you optimize and maximize your money, you can live out a joyful, abundant, purpose-filled life starting now. Then you won’t feel the need to retire from your work. Instead, you are able to enjoy your life and get energy from doing your work as you continue to contribute. We recognize that our lives flourish best when we’re empowered to feel good about our money. We want you to live a full life and enjoy it along the way. How embracing an entrepreneurial mindset will allow you to grow a self-sustaining business. Why we believe the power of collaboration is stronger than competition. How we’re coming together to help you as a business owner to build your business around your unique abilities. 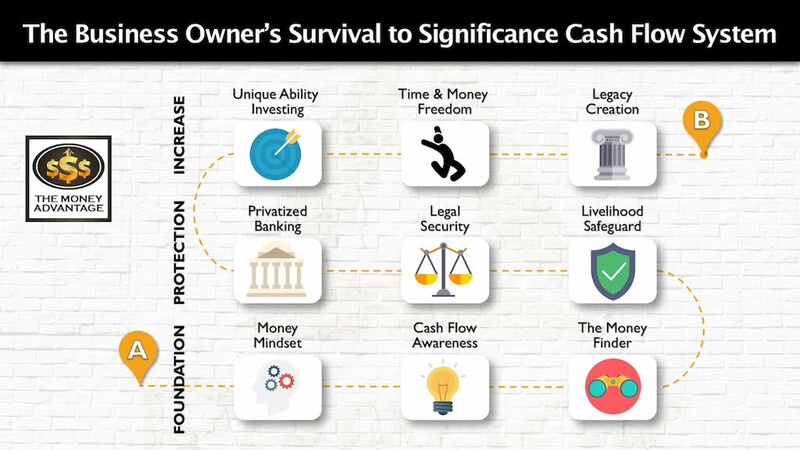 How future cash flow is built by focusing on cash flow now, not accumulation. An entrepreneurial thinking exercise that will help you immediately begin a mindset shift to control more of your money. Find out more about The Money Advantage and our mission HERE. The Kolbe A Test will build your self-awareness by helping you discover how you best get results. In Episode 002 – The Mindset Shift, we dig into Bruce’s backstory. You’ll hear about the fabric of his life that has developed Bruce into the giver that he is today with a keen ability to add value to his clients’ lives.